Hi ya’ll! I’m so sorry for the long absence, I’ve had a hectic past couple months! But let’s get to it. 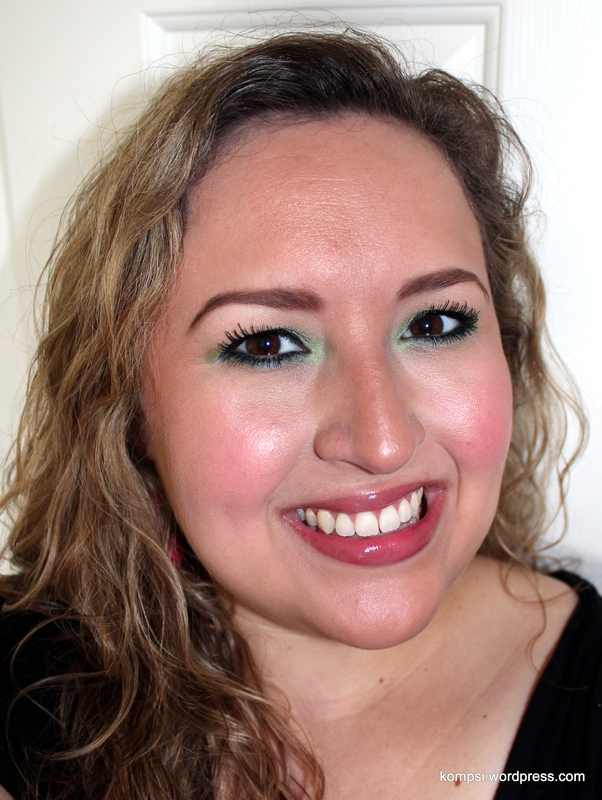 I recently purchased, through Ulta’s new points program (more on that later), Urban Decay’s Electric Pressed Pigment Palette. Now, what makes this palette different from UD’s other eyeshadow palettes? It contains only pressed pigments – it’s highly concentrated, pure color. These colors aren’t just limited to eyeshadow, you can apply it as blush, mix with a balm for lipcolor or even tint your hair, like hair chalking or whatever else you want to experiment with. However, because these are pigments rather than blush or eyeshadow, they are formulated a little bit differently. In the U.S. packaging for this palette, the brighter, red-based shades (Slowburn, Savage, Jilted and Urban) are labeled with a warning that they should not be used in the immediate eye area. Apparently, everywhere else in the world where this palette has been released does not carry the warning. I’ve seen other bloggers use these colors on their eyes so I would suggest doing what you think is best or feel comfortable with. From what I’ve read, bright neon pigments are typically labeled as not safe for eye use in the U.S. because of the ingredients used to create the color, so it’s not unique to just this palette. So much color and shimmer! Anyway, back to the fun stuff! As per usual with Urban Decay products, these shadows are soft and buttery with very little fallout. 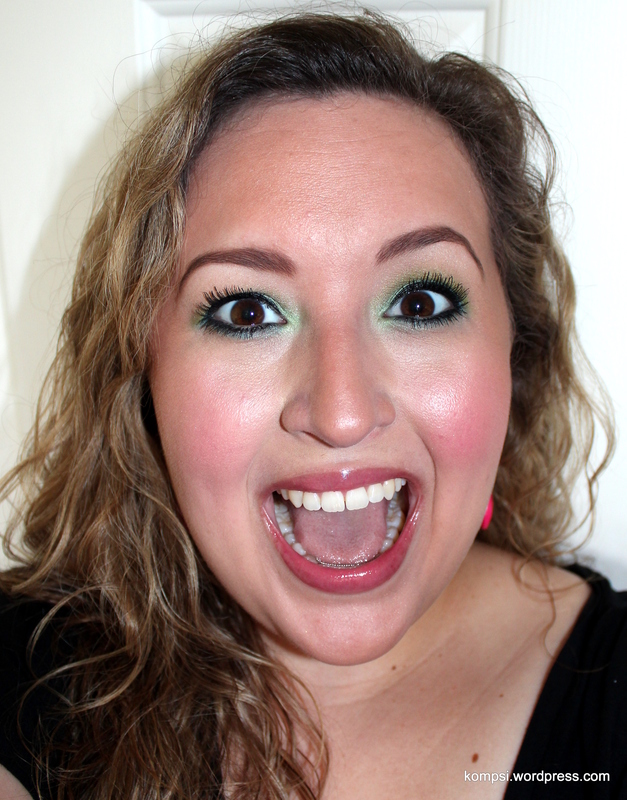 They apply and blend like a dream! I used Savage, the hot pink shade, as a blush and it really just melted into my skin and gave me a natural-looking flush. For my eyes, I used Fringe, Freak, Gonzo and Thrash. Black liner and mascara makes the color pop even more. 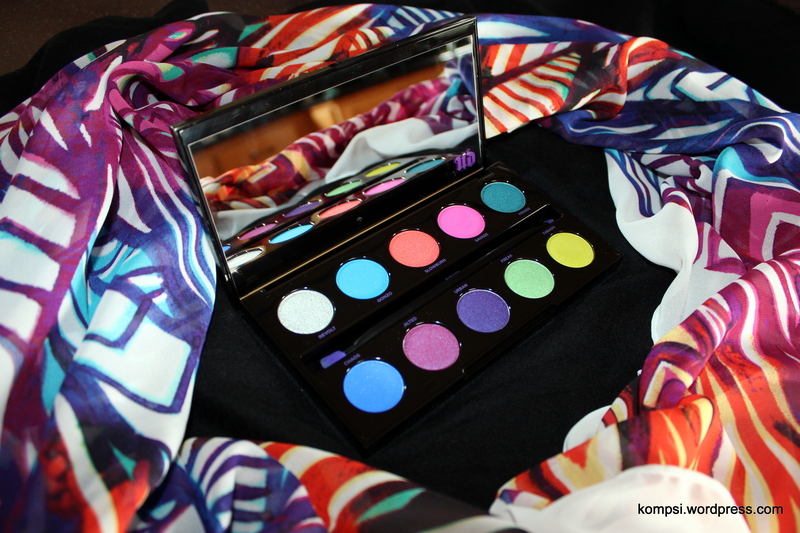 The possibilities are seriously endless with this palette, since pigments are more flexible. I can’t wait to try some as lip colors and in my hair! Just a quick mention about Ulta’s new rewards program. Before, they would send you a voucher for a free product based on your spending level each quarter. Now, they have switched to converting your dollars spent into points which can then be redeemed AT ANY TIME on WHATEVER YOU WANT. Now, I also get my hair done at Ulta, so I can rack up a lot of points pretty quickly. In fact, I had already hit Platinum status when the new program launched (oops…). 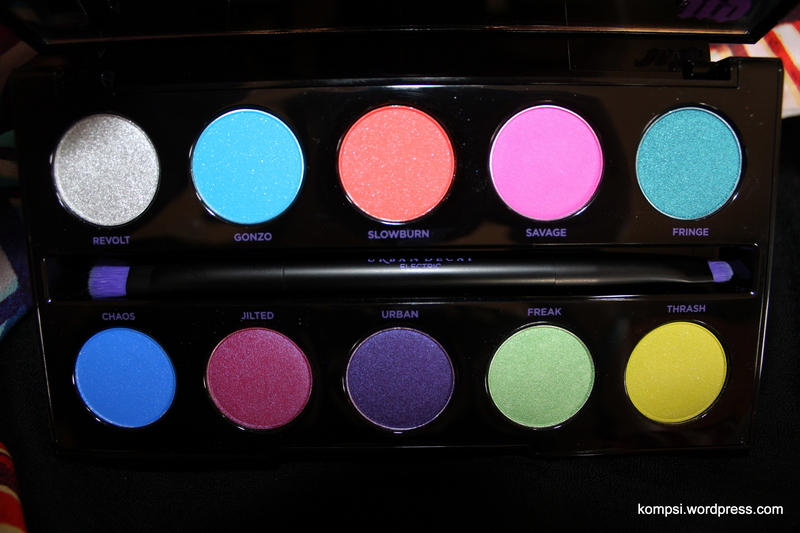 Anyway, by the time the Electric palette came out, I had a little more than $20 in my account. Combining my points with a 20% off coupon that I had just received (because Ulta doesn’t mind letting you combine discounts), I got the Electric palette for like $12 with tax. So worth it and I didn’t feel guilty adding another palette to my collection. Anyway, it looks like Ulta is providing opportunities to earn more points, such as triple and double points days, more points when purchasing certain products, etc. Also, I think Platinum members earn points at a faster rate. Thanks so much! It’s definitely a fun palette, my pictures don’t even do it justice to how pretty the colors are and the formula is a dream to work with!